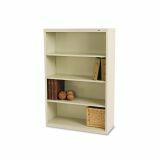 Tennsco Metal Bookcase, Four-Shelf, 34-1/2w x 13-1/2d x 52-1/2h, Putty - You’re really going to appreciate the cool, contemporary look of Tennsco’s Welded Bookcases. Their smooth front case design offers a style that effortlessly blends into any office decor. 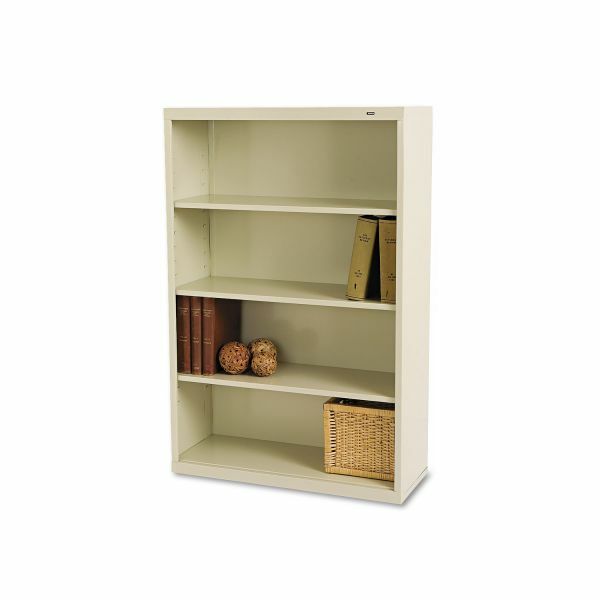 Both highly functional and extremely efficient, Welded Bookcases are available in 2, 3, 4, 5 and 6 opening models. Units are 34½" wide and 13½" deep, providing a stable footing yet allowing for convenient placement in hallways or offices. All cabinet joints are welded for maximum strength and rigidity. Offers heavy-gauge steel construction with double bottom. Extra shelves are sold separately.